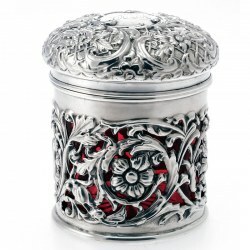 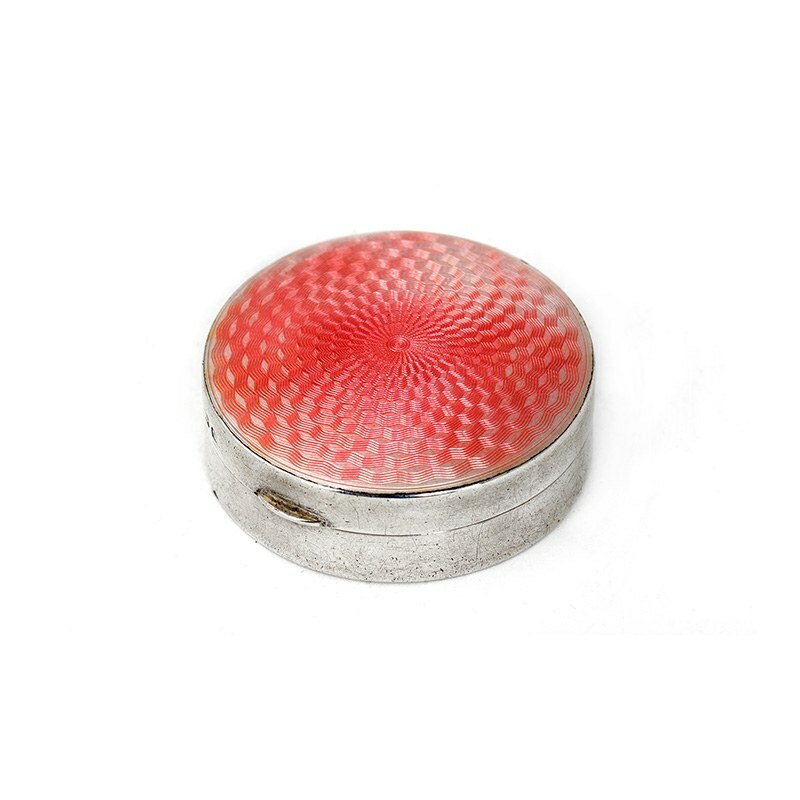 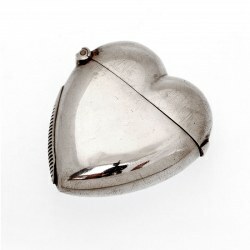 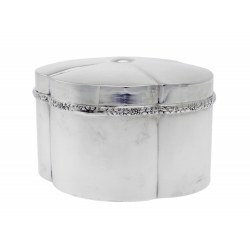 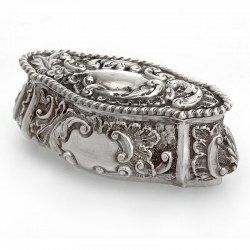 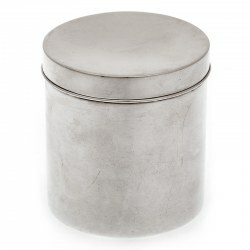 A beautiful good quality round silver and pink guilloche enamel box. 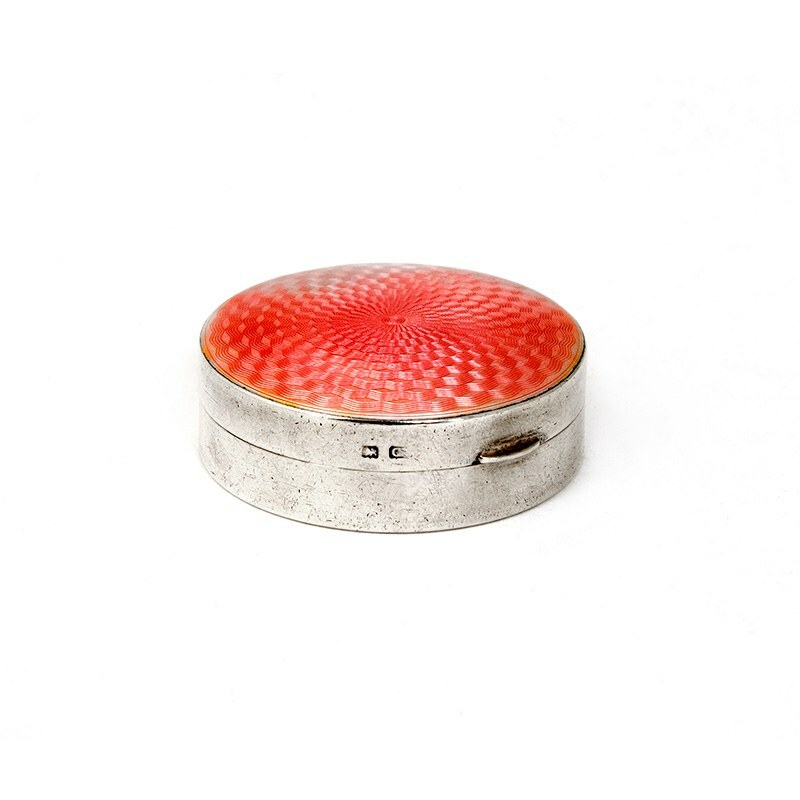 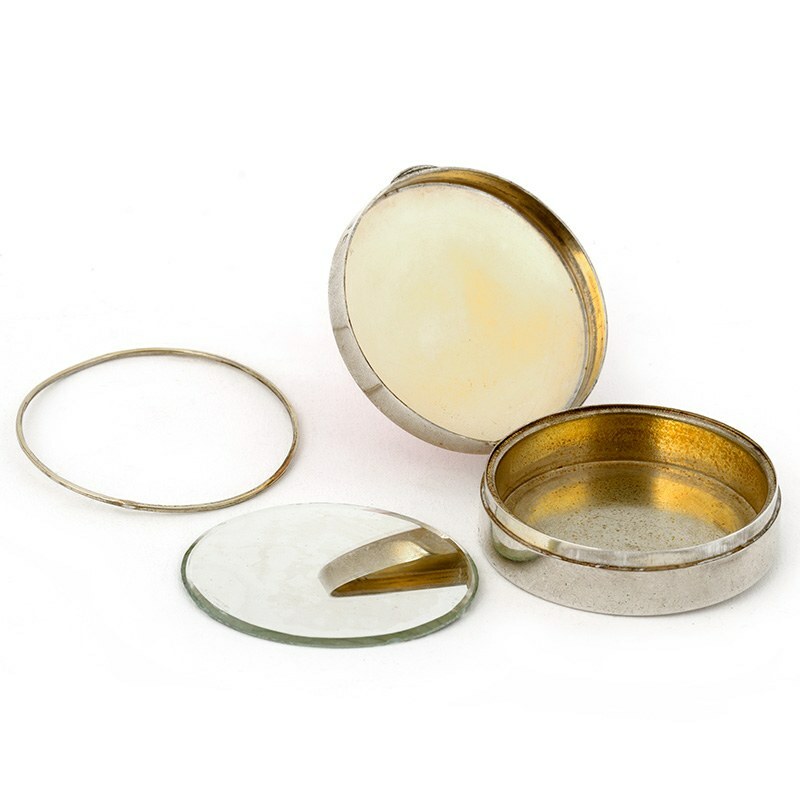 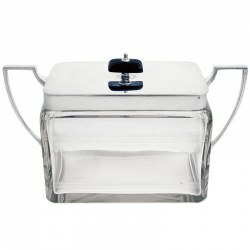 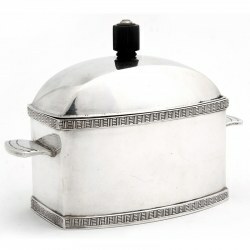 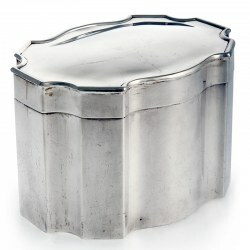 The slightly domed and hinged lid has a circular engine turned pattern and perfect pink guilloche enamel. 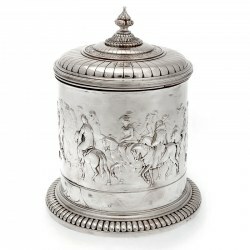 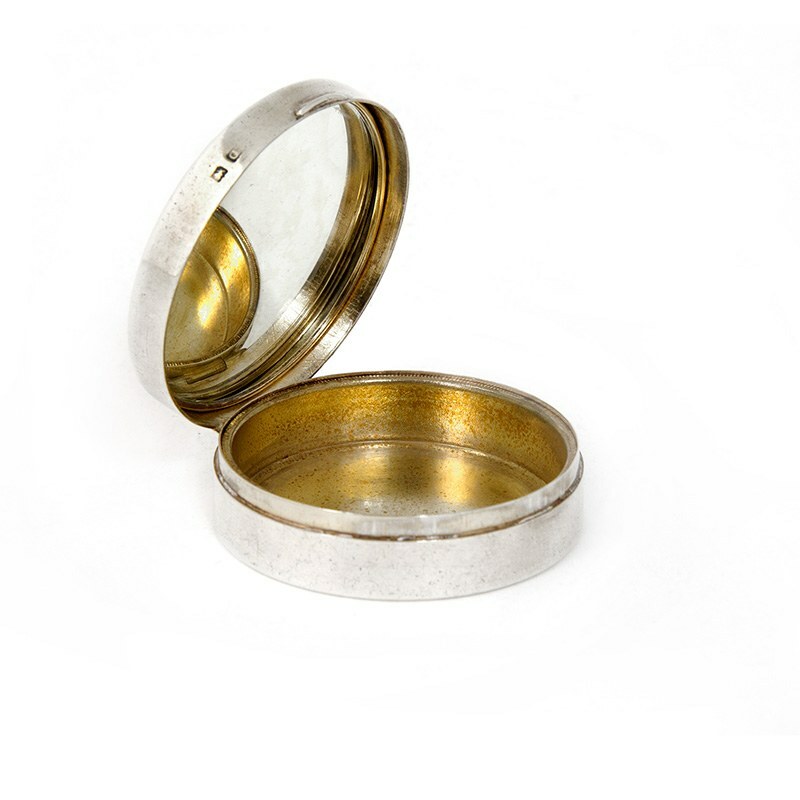 The inside of the box has been gilt and has a detachable mirror so the box can be used for pills or powder. 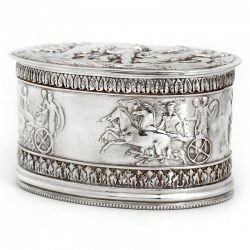 In very good original condition.